MacKillop Catholic Regional College takes its name from Mary MacKillop, widely known as St Mary of the Cross.St Mary founded the Australian congregation known as the “Sisters of Saint Joseph of the Sacred Heart of Jesus” in 1866 at Penola, South Australia. She was born in Fitzroy (15 January, 1842) and died in North Sydney (8 August 1909). With Father Julian Tenison Woods, she founded a new type of religious order to bring Catholic education to ordinary working families. St Mary was canonised by Pope Benedict XVI on 17 October 2010 and is presently Australia’s first and only saint. The Sisters of Saint Joseph have been serving the parish of Werribee, especially in the field of education since 1910. 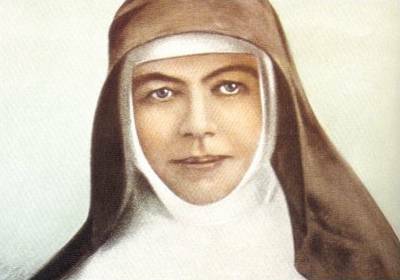 Those of us who face the challenge of the future, look with confidence to St Mary MacKillop for the spirit of simplicity, faith and generosity which inspired and characterized her efforts to meet the needs of the times. We turn also to her glorious patron and ours, St Joseph, the just man, whose strength and spirit assisted Mary MacKillop.